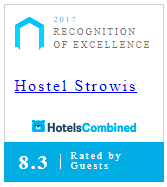 Looking for a pleasant and affordable place tot stay over in Utrecht? 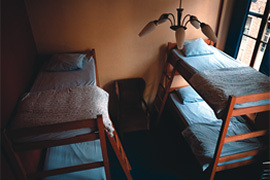 There is a low budget hostel situated in a quiet road in the old city centre. 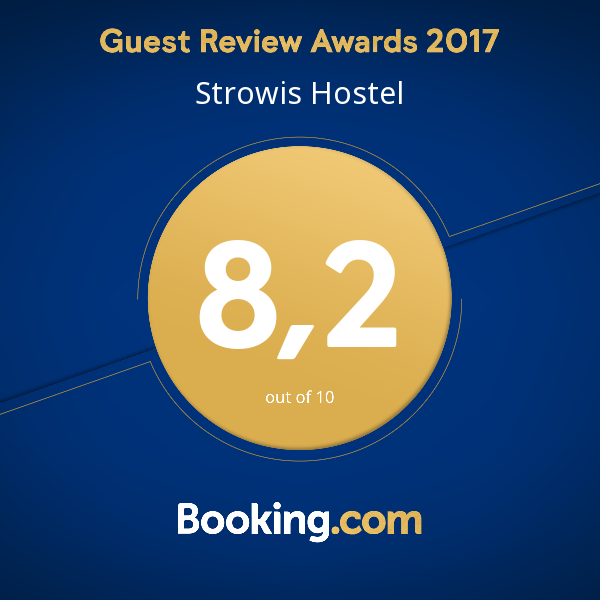 'Strowis' is located in a listed seventeenth century building which still contains some of its original details such as chimneybreasts and shutters, providing a warm atmosphere and a pleasant place to spend the night. After years of vacancy, the building at Voorstraat 71 was squatted. The ground floor, which used to be the Automobile Centre Utrecht (ACU), was turned into a film house, a café, a concert venue and an information and action centre. The two top floors have been used as living space for years. 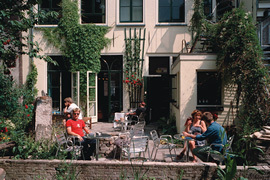 In order to avoid eviction from the squat, the idea of the Voorstaete project was born in the autumn of 1993 after a congenial night of drinking. The idea conisted of buying the ACU and the piece of wasteland next to it in order to realise all plans. Plans included the realisation of living and working spaces under own management, a brewery, a pub and concert venue, a restaurant, a hostel and a city park. For this ambitious project, the Voorstate foundation was established. Through their experience in various political pressure groups, the initiators had become hardened negotiators. Of the five original ingredients of the plan, two projects were eventually realised: the political-cultural centre ACU and the Strowis hostel. The brewery was able to find another location but the city park unfortunately came off badly in the negotiations with the municipality and had to be abandoned. Family, friends, non-profit housing associations and other sympathizers gave the project financial support. After eighteen months of renovation and reconstruction by many volunteers, the project finally opened its doors to the public in the autumn of 1998.